Corsearch provides the world’s leading clearance and protection solutions to trademark and brand professionals. Corsearch’s international reach allows customers to clear trademarks in more than 185 countries worldwide. Its customer-designed user interface empowers customers to clear trademarks, brands and domain names, and to protect their value, using best-in-class research content on its streamlined and easy-to-use platform. Corsearch was ranked number one in overall quality by World Trademark Review’s latest survey of trademark professionals worldwide and is known for its powerhouse innovation and for having a laser-focus on the fast-paced workflows of busy practitioners. Fish & Richardson is a global IP firm offering patent, trademark and copyright prosecution, counselling and litigation, as well as commercial litigation services. Established in 1878, we now have more than 400 attorneys and technology specialists in the United States and Europe. Our success is rooted in our creative and inclusive culture which values the diversity of people, experiences and perspectives. Fish is the number one ranked US patent litigation firm, handling nearly three times as many cases as our nearest competitor. We are a powerhouse patent and trademark prosecution firm, a top-tier trademark and copyright litigation firm and the most active firm at the Patent Trial and Appeal Board. With a “heavyweight reputation” and a “national reach across the market” (WTR 1000), Fish is among the top trademark firms in the United States. Our practice includes experienced trademark attorneys and paralegals who are dedicated to trademark, trade dress and domain name matters, including strategic counselling and prosecution work, as well as complex litigation and alternative dispute resolution. Fish’s trademark group offers the resources of a global IP leader, the expertise of a boutique and the personal service that comes with a local presence. Fish continues to win cases worth billions of dollars in controversy – often by making new law – for the world’s most innovative and influential technology leaders. 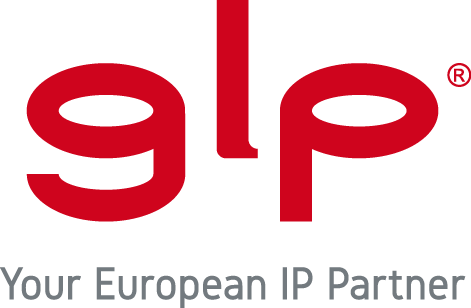 GLP is an IP boutique that has been providing the complete range of services for the structured protection of IP rights for more than 50 years. It specialises in protecting inventive ideas, developing and prosecuting IP rights at the European, national and international level and assisting national and international clients by analysing, managing and enforcing their IP assets. Since 1967, GLP has grown thanks to word-of-mouth marketing among satisfied clients that recognise its commitment to delivering high-quality services, understanding their needs, industries and markets and counselling them on the most practical and efficient solutions that afford the widest range of opportunities. GLP comprises a variety of departments (patent, trademark, design, legal, renewal and internet services). All of these departments, in synergy with the legal department, are structured as a heterogeneous group of attorneys and lawyers with decades of experience in the IP field. To assist clients at a top level, GLP has developed its own anti-counterfeiting system to monitor the Internet – from online marketplaces to social networks – and its team meets and exceeds every client’s expectations. Clients of all sizes and from various industries worldwide trust GLP to design strategies to defend their IP rights in the most complex cases. GLP’s staff are highly knowledgeable and continually up to date with local and European IP legislative developments to ensure that every client receives the best strategies. Incopro is an online IP and brand protection software provider that arms brand owners with actionable intelligence to combat online and offline IP and copyright infringement. Its flagship product, Talisman, combines Big Data and machine-learning technology with legal and law enforcement expertise to gather and analyse relevant data. 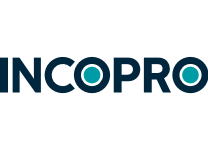 Incopro comprises experts in IP law, investigation, engineering and technical design who are fluent in more than 45 languages, enabling it to provide measurable reductions in online vulnerability that deliver direct financial benefits to clients. Incopro was founded in 2012 by CEO and IP Protection Lawyer Simon Baggs and CTO and System Architect Bret Boivin. Incopro’s unique clustering technology can scan the Internet, more than 400 different marketplaces and 45 social media websites to identify infringement networks and connect the commercial scale of counterfeiters. Incopro enables brands to enforce their trademarks at scale and combat illicit activity online. Talisman leverages Big Data to identify commercial infringement networks, create enforcement efficiencies and ensure that clients are focusing on eliminating any issues that their brands face on the Internet. The Talisman software has enabled the comprehensive takedown of infringements within an average of eight to 24 hours of being found and analysed. Incopro employs more than 120 people in the United Kingdom, the United States and China. More than 450 brands currently use its software, including Dr. Martens, Harley Davidson, Cath Kidston, Superdry, New Era, Ladbrokes Coral Group, ghd and Ted Baker. Continuity, quality and strategy are the three pillars of nationally and internationally renowned German IP firm KUHNEN & WACKER (K&W). With more than 40 years’ experience, K&W has developed an excellent reputation in the IP field. The firm offers the full range of services relating to patents, utility models, designs and trademarks, domain names, licences, topography protection, plant variety rights protection, copyrights and trade secrets. It also specialises in IP evaluation and assessment, the defence and enforcement of IP rights, portfolio analyses, due diligence, benchmarking, IP strategy development and IP litigation, including cross-border injunctions. K&W’s experienced team of 90 includes 19 specialised attorneys and attorneys at law, supported by expert patent engineers and specialists, as well as highly qualified and multilingual administrative assistants. We aim to facilitate the successful exploitation of industrial property rights worldwide and our clients range from large multinationals and SMEs to universities and individual inventors based in Europe, the Americas and Asia. As a trailblazer in the industry, K&W has been passing on knowledge for more than 25 years and holds IP seminars in Europe, Asia and the United States. In order to demonstrate the high standards which K&W has upheld for years, the firm obtained the official ISO 9001 certification in 2010, which has been reviewed and confirmed annually since then. The K&W offices are conveniently located near Munich airport and are close to the German Patent and Trademark Office, the European Patent Office and several courts. Trevisan & Cuonzo is a leading independent European law firm. Founded in 1993, the firm has gained an international reputation for its extraordinary achievements in complex commercial and IP litigation. Trevisan & Cuonzo’s clients include many of the most technologically advanced and innovative businesses in the world. The firm has many years’ experience in Italian trademark prosecution and litigation, and has acted for an array of Italian brand owners and some of the world's best-known brands with business activities in Italy. The firm works in all spheres of business – from fashion and electronics to automotive and entertainment. It acts for many clients in opposition proceedings before the Italian courts on a first-instance, appellate and Supreme Court level. Trevisan & Cuonzo has a rapidly expanding sports law practice and represents a broad range of domestic and international clients in this sector. The firm has in-depth experience of advising professional athletes – including footballers and cyclists – as well as sports federations, sponsors and event organisers. The firm prides itself on providing a cutting-edge legal service while maintaining a user-friendly approach. Trevisan & Cuonzo believes in social responsability; its lawyers provide pro bono work for those in need and support non-profit organisations in Milan and across Italy. The WTR has stated that Trevisan & Cuonzo "combines top-class legal expertise with strong business acumen”. Established in 1891, the German Association for the Protection of Intellectual Property (GRUR) is the largest and oldest non-profit association in Germany devoted to the protection, academic advancement and development of IP, competition and data law. With more than 5,300 members from 60 countries, GRUR offers a forum for a wide range of IP professionals. GRUR provides IP assistance to legislative bodies and authorities, organises conferences and workshops and offers further education courses for lawyers and patent attorneys. It also publishes four leading German professional journals: GRUR, GRUR International, GRUR-RR and GRUR-Prax. Launched in 1998, the International Law Office (ILO) is the nexus where global corporate counsel engage with the world’s preeminent law firms, and with each other. The ILO brand encompasses a multifaceted online resource for senior international corporate counsel, which provides tailored, quality-assured updates on global legal developments and a comprehensive directory of firms and partners. 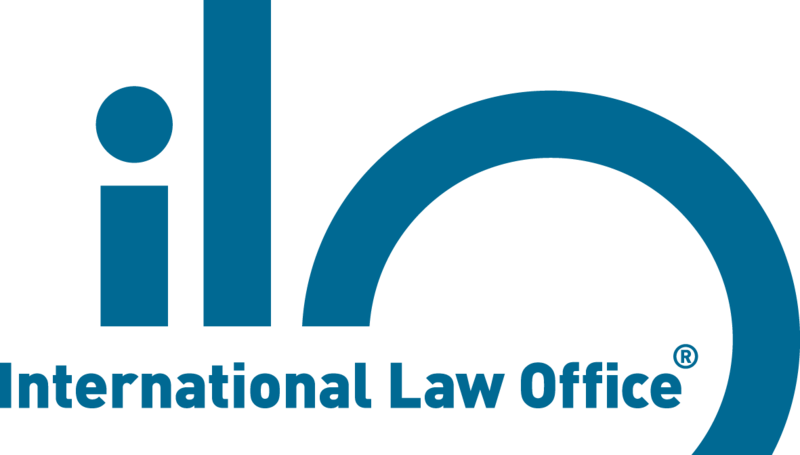 Recognising its unique relationship with global corporate counsel, ILO is an Online Media Partner to the Association of Corporate Counsel, the International Bar Association, the American Bar Association Section of International Law, the Inter-Pacific Bar Association and the European Company Lawyers Association. Lexology is the single most trusted online source of free, accessible and searchable global legal knowledge for and by legal practititioners, delivered to more than 300,000 desktops in over 100,00 countries around the world each day. Lexology offers a powerful research platform with an archive of over 450,000 articles in more than 20 languages covering 50 work areas worldwide. Endorsed by more than 100 associations, corporations, and corporate counsel groups, Lexology is not only considered an invaluable resource of its kind, but also regarded as the industry benchmark.